Has anyone found a matte vinyl wrap that matches the Ocean Blue color of these bikes? I'm not a big fan of the grey bags on a blue bike and the blue is my preferred bike color. 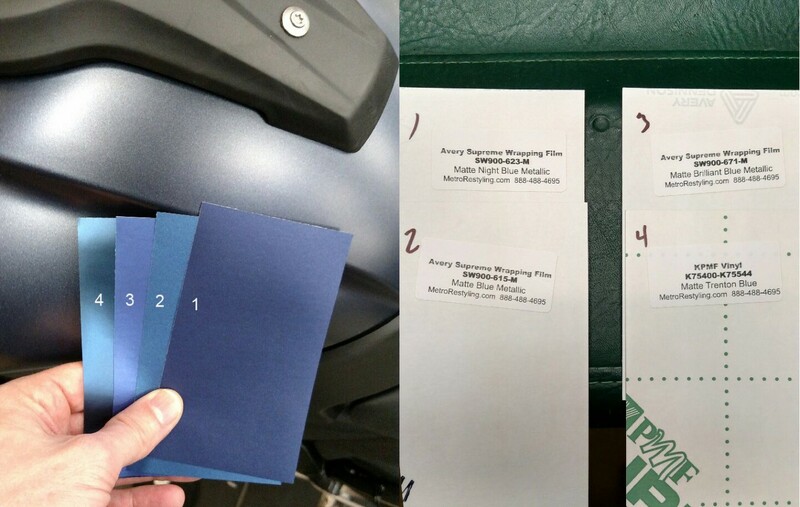 UPDATE - Well, I received the wrap samples this week, and since I don't have an XR anymore (hopefully soon) I went up to the local dealer and took the pic below showing all 4 samples next to the Ocean Blue Paint. None are perfect but I'm partial to number 1 I think. Anyone interested in these wraps can go to the website indicated or call metrorestyling.com. Make note of the wrap model number/item name of course. I'm a little uncertain how the wrap will work on a basically square side case as I'd prefer a no-seam job but I can't see how you would not have excess material that would need to be removed when you pull the wrap over the 4 edges of the of the vertical portion of the case, working your way toward the edge of the plastic. Any input would be appreciated. I’m after this as well if anyone has any details. Ok, I just came across these options. Not sure this is the route I will go, but I'll post these up and see what folks think. To my eye, the second looks closest...I'm going to request samples if that's an option. I've bought from them in the past so I know they are a quality group. Since I no longer have an XR, I'll have to find an Ocean Blue one I can compare to....but if one of these is close it will be good to know as I'm still targeting an Ocean Blue bike in the near term. FWIW, I also noticed in another thread here, the Ocean Blue Met paint code is M4E in case its just easier/better to paint them. If you’re keeping it long term, I’d certainly get them painted, with code in hand I doubt it would cost a great deal and would look excellent ?!? I was surfing the interweb today and stumbled across this photo. 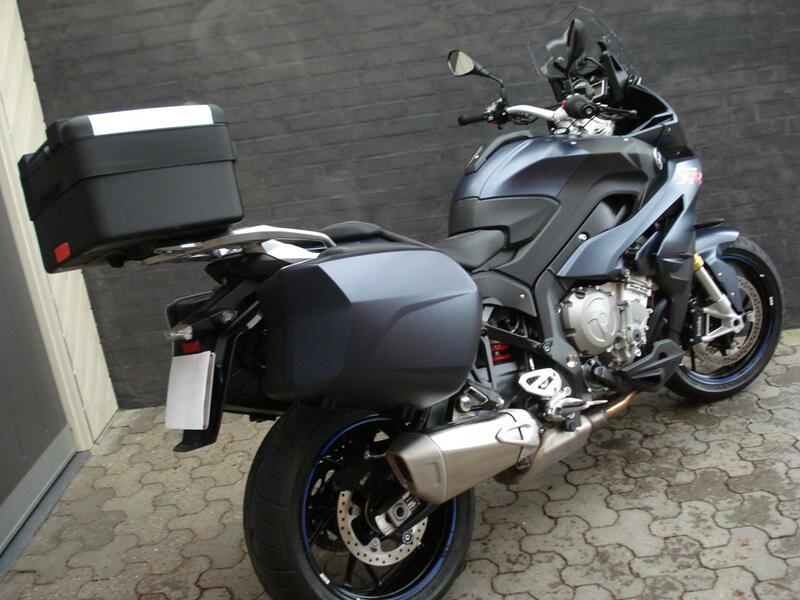 Its an Ocean Blue with matching painted panniers (not a fan of the top box though...). I think this is the route I'll go...looks great to me. Mine will be remaining the boring grey , I cant be arsed to get em done . I will not be using them that much anyway as i am not a great fan of panniers. i am not a great fan of panniers. In general or specific these models? In general Dinky , I just don't get on with em !